Vom 17. April bis 18. Oktober 2009 findet im Archäologischen Museum in Bad Fallingbostel/ Niedersachsen eine Sonderausstellung zu dem Thema „Archäologie im Spiel“ statt. 26 Brett- und Kartenspiele, hauptsächlich aus Deutschland, aber auch aus den USA und Australien, werden ausgestellt und mit Begleittexten versehen. Ihnen allen ist gemeinsam, dass die Spieler die Rolle von Archäologen bzw. Forschern übernehmen. Die Spiele stammen allesamt aus der Sammlung von Sybille Whitehill, die im Landkreis Soltau-Fallingbostel lebt; sie hat auch in Zusammenarbeit mit Frau Dr. Sattler-Kosinowski vom Vorstand des Museums die Ausstellung konzipiert und aufgebaut. Die Ausstellung wird am Freitag, den 17.04.2009, in Anwesenheit von Vertretern der regionalen Politik und Presse eröffnet. Sybille Whitehill wird einen einführenden Vortrag halten. Das Museum ist jeweils Do., 15-18 Uhr, und So., 10-12 Uhr, geöffnet. Etwa einmal im Monat können ausgewählte Spiele zum Thema auch im Museum gespielt werden; der erste dieser Termine ist am So., 19.04.09, von 10-12 Uhr, u.a. in Anwesenheit des Ehepaares Whitehill. Für weitere Fragen: Email s.whitehill@web.de. 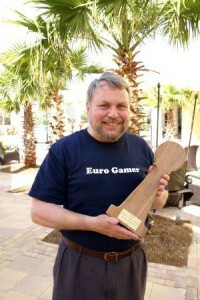 Bruce Whitehill is AGPC’s 2008 recipient of the Bradley-Parker Award (for games). He is the founder of the Association of Game & Puzzle Collectors. 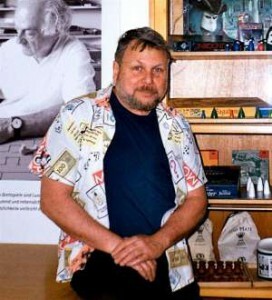 His contribution to the field of games extends well beyond his founding of the AGPC. Bruce has invented (and continues to invent) games for companies such as Milton Bradley, Talicor, Pressman, and Eggert Speil. 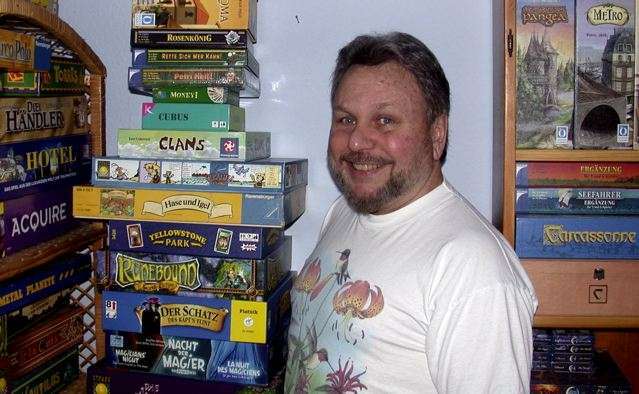 He is the author of the book American Board Games and Their Makers: 1822-1992, which has been touted as the most authoritative work on the history of American game companies. 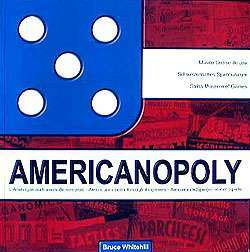 He has also authored Americanopoly: As Seen Through Its Games. Bruce has brought games to the attention of the public through various forms of media, including radio, televeision, and the Internet, as well as in newspapers, magazines, books, and even in an encyclopedia. He has been quoted in The Wall Street Journal and in a college textbook on marketing. 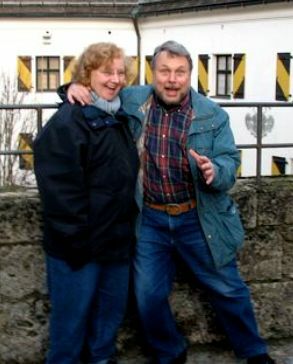 Bruce and his wife Sybille currently live in Germany. Hi Bruce ! Congratulation from all the ESG-members ! Der Text liegt bisher nur im Original (in englisch) vor. Wir arbeiten an einer deutschen Übersetzung und Anpassung an europäische Verhältnisse. 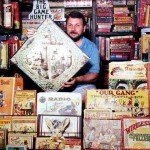 BRUCE WHITEHILLS GAMES BIO – He is known as The Big Game Hunter authority on American games. Author of over 100 articles on games, and two books, Games: American Games and Their Makers, 1822-1992, a guide to Americas game companies, and AmericanopolyAmerica As Seen Through Its Games, published in conjunction with a major exhibition at the Swiss Museum of Games. 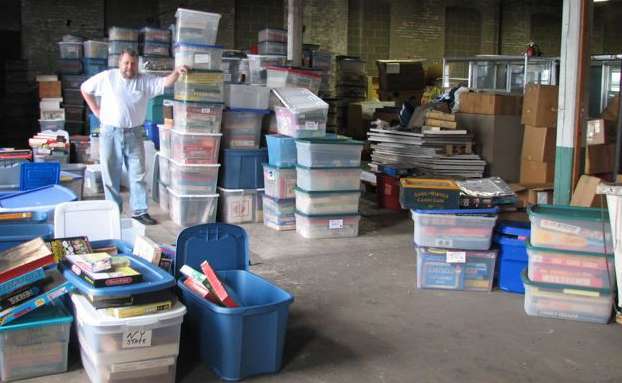 He has been quoted in a college textbook and in The Wall Street Journal, Time, Esquire and other magazines, has written on games for Grolier’s New Book of Knowledge encyclopedia and has published in the journals Board Games in Academia and Board Game Studies/2. Currently he is the Senior Contributor for Knucklebones, a games and puzzles magazine, and his column, The European Scene, appears in each issue of the magazine, Games Quarterly. He is the founder and past president of the Association of Game & Puzzle Collectors (AGPC) and on their board of directors, and a member of the International Game Designer Association (Spieleautorenzunft – SAZ). 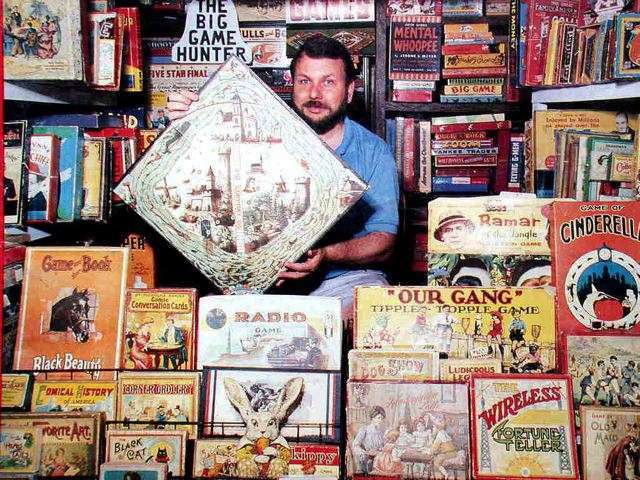 Besides his large diversified collection of early American games representing over 400 U.S. game companies from 1840 to 2000, he also owns an extensive collection of game advertisements and ephemera, and a small collection of European games and mechanical puzzles. Bruce continues his research on American games, uncovering new information about the many companies that once made them, and on the links between American and European games and companies. Bruce has worked as a game inventor and developer for many major American game companies and as a consultant to the Toy and Game industry for over 30 years. He is the author of over half a dozen published games, and has been instrumental in the development of many others. In August of 2005, he moved to Hamburg, Germany, and he and his german wife now have a translation service for game rules (English and German). Bruce has continued his game work and research here and has been designing games for publication. His current games include Talat (Huch) and Fuse / Lunte (Mückespiele).